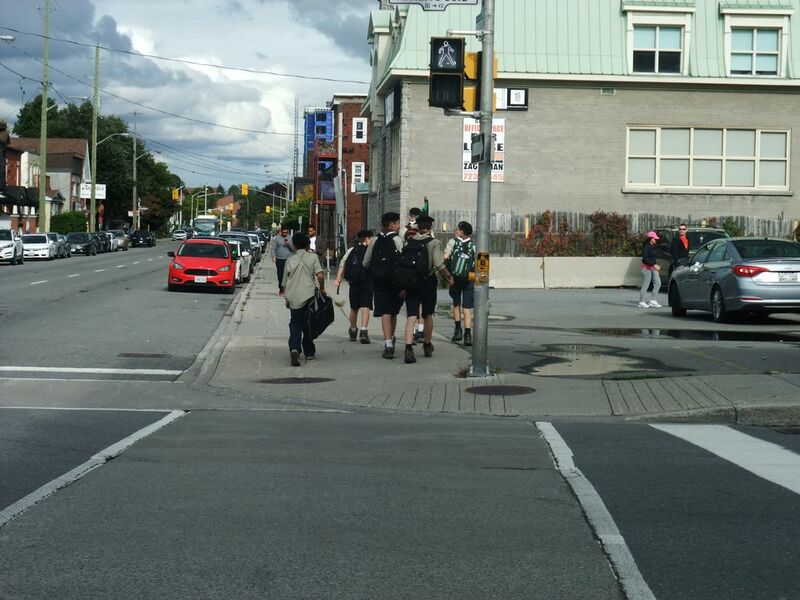 A group of scouts , one leader carrying a flag and 5 scouts following crossed the road and I kept observing them being a former scout myself. One of the young kid especially drew my attention with his shirt hanging out, and no sweater unlike all others dragging him behind them. The other ones were busy in themselves. I was impressed by his will to keep following the flag in spite of the fact that he was dead tired. This will to keep with the pack is the essence of communal good for which scouting was started. Date Uploaded: Sept. 29, 2018, 10:23 p.m.